­Speaking during a Friday breakfast in Washington, Greenert told reporters about the bold plans to deploy more patrol boats, minesweepers, Sea Stallion helicopters and drone subs – all keeping an eye on Iran, which is clearly uncomfortable with being surrounded by the warships of a hostile country. While Greenert had already announced plans to up the number of minesweepers in the region to eight on Wednesday, his latest statements shine a light on the Navy’s long-term perspective. First of all, Greenert talked about deploying five more patrol boats equipped with Gatling guns and close-range missiles capable of hitting Iranian shores from four miles away. “It’s like being in an alley with a rifle and maybe what you need is a sawed-off shotgun,” he said, talking about the Gatling guns. 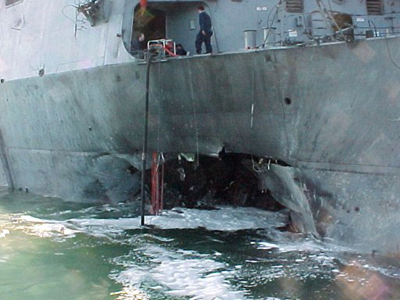 Secondly, the Navy is planning on sending torpedoes that can compensate for the “turbidity” and “particulate” drags of the Gulf waters, as Greenert put it. 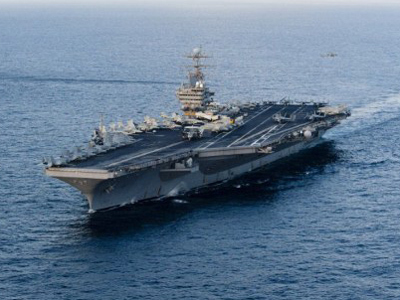 And finally, more aircraft carriers, though this is still to be discussed with Defense Secretary Leon Panetta. All these new vessels will arrive equipped the latest infrared and electro-optical visibility systems to help navigate through the foggy Gulf even at night. In the meantime, BAE Systems, one of the Pentagon's military contractors, is working on a new Gatling/laser gun mashup. While Greenert said nothing on equipping the patrol boats in question with these guns, Iran had earlier promised to block the Strait of Hormuz, which is used to transport about a fifth of the world’s oil, in retaliation against sanctions imposed by the US and the EU with the intention of forcing Iran to quit its nuclear program. 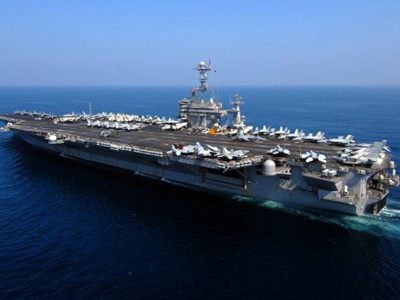 In January, General Michael Dempsey, Chairman of the US Joint Chiefs of Staff, confirmed that Iran has the capability to block the Strait of Hormuz for a certain period of time, and that the US must be prepared to reopen it by force. 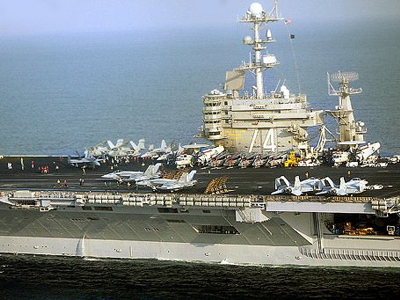 Greenert openly admitted that America’s naval presence in the region is already superior to Iran's. So why deploy so much weaponry and equipment to region? 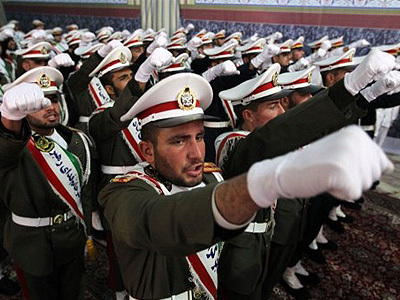 Are Obama and his military advisors already covertly thinking about a military solution to the Iranian crisis? Or is it just the implementation of Dempsey’s call for preparedness?